Tanzania’s President Hon. 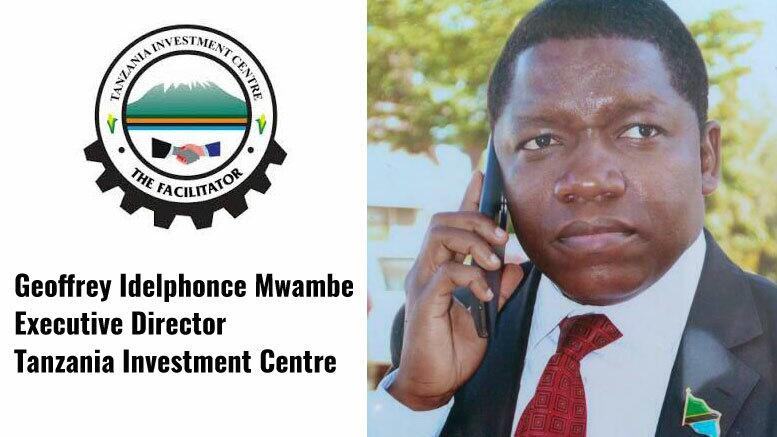 Dr. John Magufuli has appointed Mr. Geoffrey Idelphonce Mwambe as Executive Director of the Tanzania Investment Centre (TIC), with immediate effect. Before his appointment, Mr. Mwambe was District Commissioner for Manyoni District in Singida Region, from June 2016. From May 2015 to June 2016, Mwambe was Director of Trade, Investment and Productive Sectors at the Ministry of Foreign Affairs and East African Cooperation. Meanwhile, TIC former Acting Executive Director Mr. Clifford Tandari was appointed Administrative Secretary for the Morogoro region, replacing Dr. John Ndunguru who has retired. The Tanzania Investment Centre (TIC) was established in 1997 to be the Primary Agency of the Government to coordinate, encourage, promote and facilitate investment in Tanzania and to advise the Government on investment policy and related matters. Tanzania Foreign Direct Investment (FDI) net inflows rose by 13% from USD1.8b in 2010 to USD2.04b in 2014. In 2015, FDI net inflows in Tanzania decreased by 34% to USD1.5b from USD2.04b in 2014. TIC plans to attract USD5b Foreign Direct Investments (FDI) to the country by 2020 to boost its economic growth.